I am so excited I'm not sure where to start! You see, my husband is an ice cream addict. Hence I have tasted one too many store bought ice creams. I was never an ice cream lover simply because I've never found one that truly impressed me and I would always get a sore throat from ice cream. I think that all might be history because I am hooked on Alden's! They have generously sent us two coupons to try their ice cream. We went to Whole Foods and got the Blackberry and Chocolate Chocolate Chip. 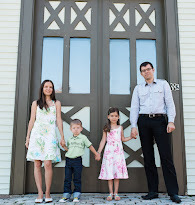 Our experience: Now, keep in mind that I never made my own ice cream and I have only tried one organic ice cream before. My husband was the first to try it. His first observation was how creamy and soft it is even when eaten straight out of the freezer in comparison to our usual ice cream from Trader Joe's that is rock solid ice. It seems that the proportion of cream is what makes it so creamy, not just milk but actual cream. Perhaps how it is created has something to do with it too. The second observation was that because of the lack of ice, the ice cream didn't cause him to have a sore throat. That is a big one in my book because it is the primary reason I don't eat ice cream, especially in the winter when the immune system is weak as is. Although Americans use cold to treat sore throat, that was not common practice in Russia where I was raised - hence now when I eat anything cold I get a sore throat. With Alden's Ice Cream I can finally enjoy it without worrying about getting sick even in the middle of winter! Not to mention that it just tastes heavenly. I love that it isn't loaded with sugar unlike most ice creams. I hate super sweet things, this has just the right balance. 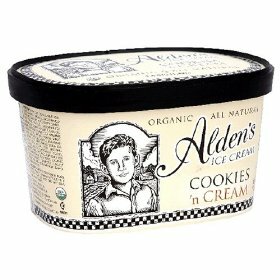 Quality & Value: I completely agree with Alden's that better ingredients make a better tasting ice cream! That's a no brainer. This is far superior to any ice cream I have tried, including Ben & Jerry's, Haagen Dazs, and even Stonyfield. As for the price, it isn't cheap. My husband and I were talking about it and decided we would rather have a little bit of this ice cream once in a while than a lot of the more affordable, cheap stuff. At $6.99 for a 48 ounce box, I can deal with it once a month or so. I'm willing to pay a little extra to avoid pesticides and the like. How is this green: Alden's only uses the best Certified Organic ingredients grown without pesticides. The milk comes from healthy cows raised without hormones or antibiotics, and they never use genetically modified ingredients. About the Company: Alden grew up in an 'ice cream family'. His mother is the owner of Julie's Organic Ice Cream. He wanted to create a lighter, less dense formula that would be sold in packages big enough for families.